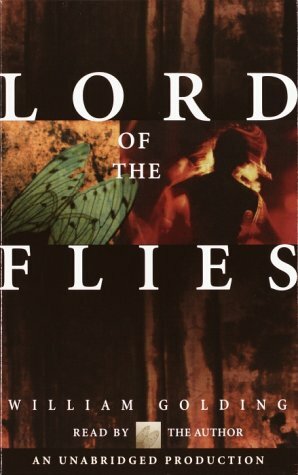 Lord of the Flies is of the best known novels of the twentieth century, and the name has become synonymous with the idea that beneath the thin veneer of civilization lie savage tendencies. Listening to the audiobook read by William Golding himself, or watching the Criterion Collection DVD of the film, reminds us that the story can be seen as more about the British class system than a general condemnation of human nature. A group of British schoolboys survive a plane crash and end up on a desert island with no adults to supervise them. They soon create rules about how to run the group and who should be leader. They divide tasks among them and even use a conch shell to determine who has the right to speak to the group at large gatherings. In short, they soon create their own society based on the values they have been taught. They manage to collect enough food and even to keep a fire going in the hope of being able to attract attention from would-be rescuers. But gradually, the order in their society starts to break down, as their situation becomes more desperate and as alliances between different subgroups start to build. The most memorable character in the book is "Piggy," who, judging by his accent, is of a lower class than most of the rest of the boys, and who wears glasses, and is also physically weaker because of his asthma. The other boys tend to tolerate Piggy because he forms a kind of friendship with one, but in the end, he is attacked and killed. The book also shows how quickly the boys revert to primitive religious beliefs and worries about monsters. Although it is a fantasy, the underlying psychology of the novel is plausible, and it is still a provocative story. Golding reads the audiobook very well, and there are extracts of his reading on the DVD. The DVD also includes a particularly interesting commentary by the director, who describes the process of selecting the actors and making the film, as well as his ideas in interpreting the novel.